Prepare to take your loved one’s breath away as you step down on one knee! 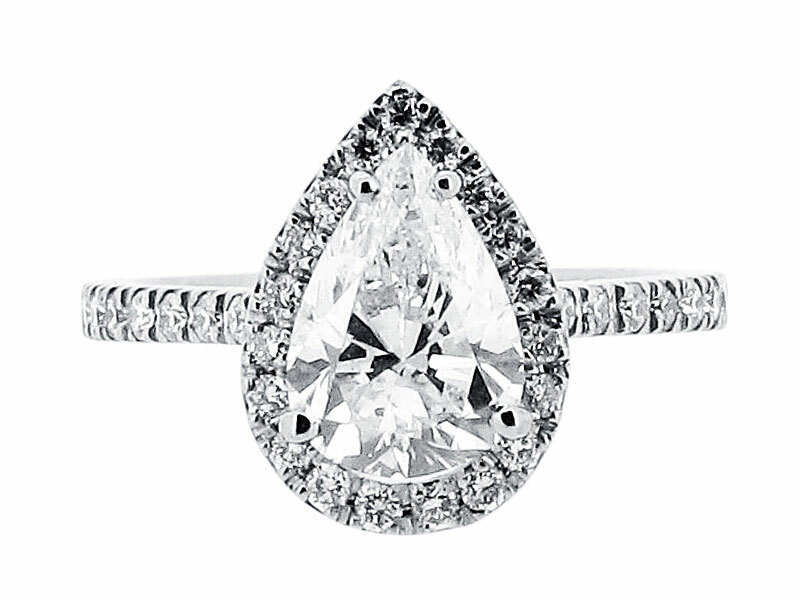 This beautiful pear-shaped halo diamond engagement ring is as romantic as they come. Featuring a central pear-shaped diamond, surrounded by a slim halo of round brilliant cut diamonds, this ring is the epitome of elegance. 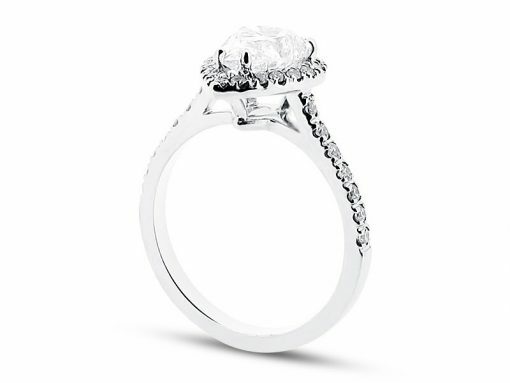 Completed by a diamond set band, this ring is both striking and elegant. At Voltaire Diamonds, we would be delighted to assist you in finding the perfect ring for you. With a comprehensive selection of engagement ring styles and loose stones to choose from, we are happy to take you through each shape and style so that you can find your dream engagement ring. Our relaxed and comfortable offices are located just off Grafton Street in Dublin and in Hatton Garden in London. Our consultants will be at hand to assist you and show you our full range.